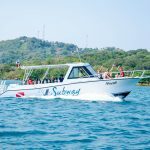 Subway Watersports, the on-site dive operation at Turquoise Bay Resort on Roatan, continues to grow, especially the operation’s popular PADI Instructor Development and GoPRO Green Internship programs. To celebrate the international success being experienced by graduates of the programs at Subway, the company has recently launched the SUBWAY PROS program. The Subway Watersports South Side shop is also proud to announce the launch of a new website! Visit us at: www.subwaywatersports44.com. Subway Watersports 44 is Frenchy’s 44 and Little French Key’s onsite dive and watersport center. We are located on the south shore of Roatan, in French Cay, close to French Harbour. 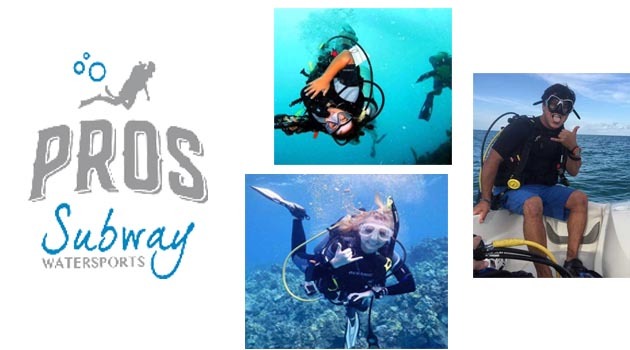 A celebration of the many graduates of the popular Subway PADI IDC program, Subway PROS are graduates of our Divemaster or Instructor internships who have discovered what it’s like to work in one of the most exciting industries in the world! They are talented Divemasters and Instructors pursuing their dreams and sharing their love of diving with people all around the globe. PROS are passionate professionals who have taken their dive training to the next level, guiding people into the wonders of the aquatic world. They are individuals who make us proud to call them Subway PROS! 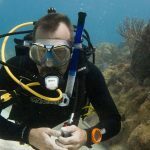 Among the prominent PROS are Irma Korb, who currently manages Tobri Dive Resorts on Roatan, Bobbie Renfro who works internationally as an instructor and professional blogger also known as the Bikini Biologist and Tripp Funderburk, a PADI Instructor now working with the Roatan Reef Restoration initiative on the island of Roatan. Subway Watersports continues to be one of the most recognized dive facilities on Roatan. The PADI Five-Star Instructor Development Center has a complete schedule of IDC programs in 2018 led by veteran PADI Course Director Phillip Hetherington. Subway Watersports offers a fleet of comfortable dive vessels and a highly-trained staff.